UNITED NATIONS, Jul 7 2017 (IPS) - As its population changes, Africa has the potential to transform its society into one that is productive and prosperous, according to a new report. With increasing life expectancy and declining mortality and fertility rates, many African nations are seeing profound shifts in their demographics that have significant implications for social and economic development. Approximately 60 percent of Africa’s population is currently under 25 years old, and its youthful population is expected to continue to rise. In order to help harness the potential of Africa’s youth, the UN Population Fund (UNFPA) produced a regional report card to help countries assess their status and create roadmaps for long-term development. “Many countries, particularly in Africa, are really anxious to try and capitalise on the youth bulge,” UNFPA’s Chief of Population and Development Branch Rachel Snow told IPS. “So that motivated us to produce a simple atlas where countries can see where they stand with some of the really key indicators that are important for creating an enabling environment for a demographic dividend,” she continued. According to UNFPA, the demographic dividend is the achievement of accelerated sustainable development when declining fertility leads to an increase in the proportion of the population entering the work force. When such youth are healthy, well-educated, empowered, and have opportunities for decent work, they have the capacity to stimulate economic growth for years to come. Though Snow noted that there has been improvement, the region continues to struggle across various sectors. 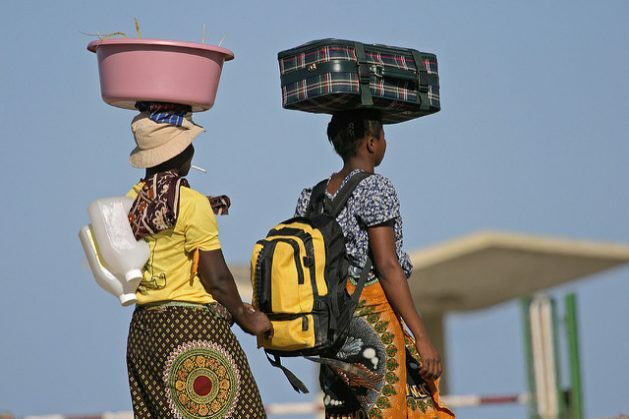 In its new report titled “The Demographic Dividend Atlas for Africa,” UNFPA found that over 20 percent of youth in the majority of countries in Northern and Southern Africa are unemployed. In some countries such as Libya and South Africa, half of all young people between the ages of 15 and 24 years old are unemployed, reflecting challenges that youth face in entering the labour market. However, youth unemployment data can be deceptive as a high proportion of young people often work in vulnerable employment, Snow told IPS. At first glance, Uganda has a relatively low youth unemployment rate of 6 percent but upon closer look at its employment status, over 70 percent participate in some form of informal work. Similarly, 4 percent of youth are unemployed in Niger yet more than 9 out of 10 workers are in the informal work sector. But in order to help youth enter the formal work force, it is also important to look beyond employment figures that affect the availability and access to safe economic opportunities and utilise a multidimensional approach. “In some countries, young people that don’t have any chances at all because of child marriage, no family planning…and at the same time you’ve got quite a few countries where people have made great progress on primary education and it sort of ends there,” Snow stated. “You see the lack of a clear trajectory created for young people,” she continued. Many countries have low levels of secondary school enrollment, especially in nations where informal employment are highest. Uganda and Niger have gross secondary enrollment rates of 26 percent and 21 percent respectively. Child marriage, which makes girls more likely to be unemployed or underemployed, are similarly high in such contexts. Approximately 70 percent of women between 20-24 years old are married before the age of 18 in Niger. “We want to highlight the challenges for employment and so it can prompt a much more innovative conversation within governments in terms of where they need to be mainstreaming these issues,” Snow said. However, among the pressing challenges hindering such long-term investment are the multiple protracted crises seen across the continent from Libya to the Central African Republic. Snow highlighted the importance of linking humanitarian aid and development assistance in order to help post-conflict countries build resilience and redevelop their systems. During the 29th African Union Summit held in Ethiopia, where the report was launched, heads of States deliberated on peace and security issues as well as finances as it pushed the body towards self-sufficiency. Though there is concern for the large numbers of unemployed youth around the world, Snow expressed hope a change in perspective and continued progress. “We would like to try to encourage reflection on seeing young people not as a threat, but young people as a true opportunity for development,” she concluded.